What a find! 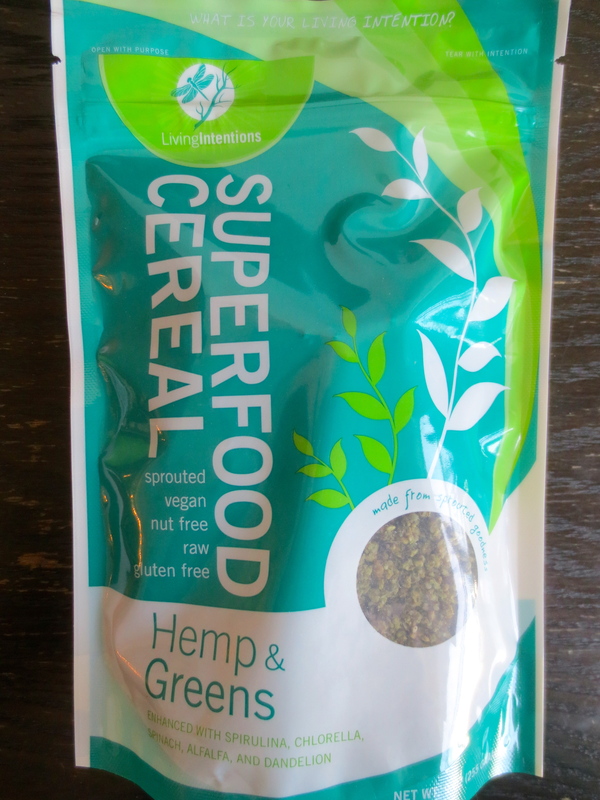 Despite the ingredient list which might be spooky for people who have never tried hemp, spirulina and chlorella (extremely nutritious blue-green algae), spinach, alfalfa sprouts and dandelion root (FYI, Tony the Tiger says dandelion root is grrrrreat for your liver – never mind those frosted flakes 😉 ) in cereal, this cereal tastes fantastic, has just the right amount of sweetness and is pretty darn filling. Put trying this cereal on your bucket list and let me know what you think! Sprinkle it on top of a smoothie or have with soy or almond beverage as a perfect start to your day. 3, 2, 1, take-off! 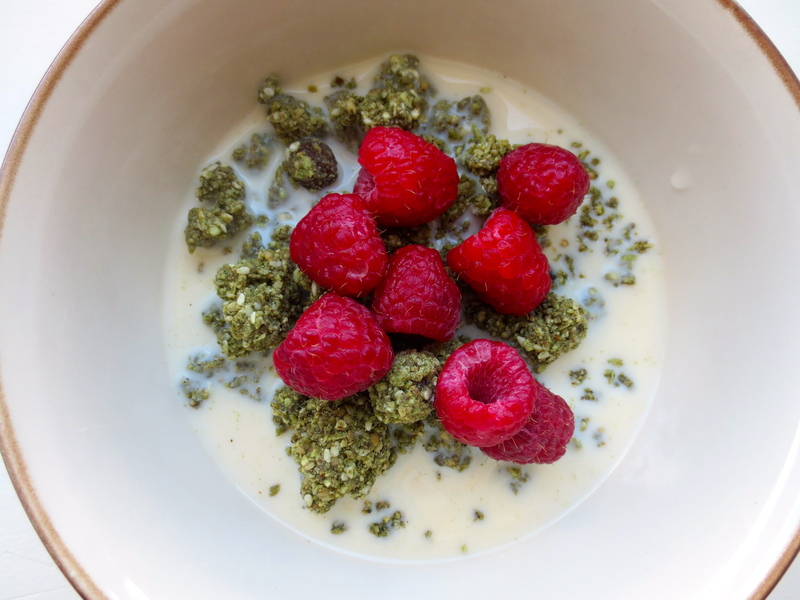 Serve with soy or almond beverage and top with fresh berries. If I can find this I’m definitely going to give a try.